On behalf of the Board of Directors and Search Committee of the Discovery School in Tegucigalpa, Honduras, we are pleased to announce that Mr. Kenneth Davis has been appointed the new Head of School beginning in July 2018. Mr. Davis is currently High School Principal of Colegio Interamericano de Guatemala, in Guatemala City, a position he has held since 2014. He has also held administrative and teaching positions in Bolivia, and in Venezuela. Mr. Davis earned a BA in Mathematics from Ohio University in Athens, Ohio, a Master of Education from Framingham State College in Massachusetts, and a Certificate of Administration and Supervision from Johns Hopkins University in Maryland. The School Board of the Discovery School, the Discovery School Search Committee and Search Associates would like to thank all candidates who expressed interest in the Head of School position, and to everyone who assisted and supported the search process. Discovery School is a private, non-profit, and parent-owned, co educational school offering an American curriculum taught in English. It was founded in 1994 when a group of parents and three teachers came together with the idea of opening a school that would teach high education and life skills to students from pre-kindergarten through grade 12. 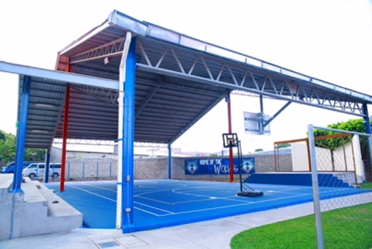 The school is accredited by Honduran Ministry of Education, the U.S. Department of Defense Dependent Schools and by AdvancEd. 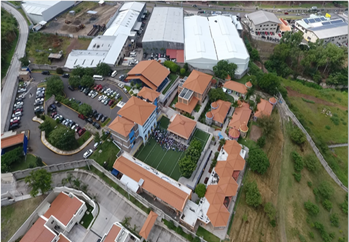 Discovery School is a member of the Association of Bilingual Schools of Honduras (ABSH) and of the Association of American Schools of Central America (AASCA). The first graduation of Seniors took place in June 2003. 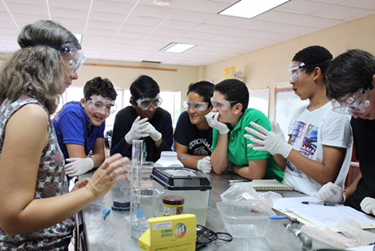 40% of our students are international (comprising over 21 nationalities) and 60% are Honduran. The school’s website http://www.discoveryschool.edu.hn/ can be visited at any time for more information regarding the school. As follows from its name, the Discovery School is built around the concepts that learning is a process of discovery and that teaching and learning are developmental and lifelong passions. The school believes that the most meaningful education takes place through first-hand experiences based on themes that cut across subject lines and integrate knowledge. This implies a progressive approach to learning that is distinct from many traditional schools in its focus on exploration and inquiry, open-ended questions, hands-on experiences, simulations, experimentation, active participation, and collaborative student-teacher relationships. 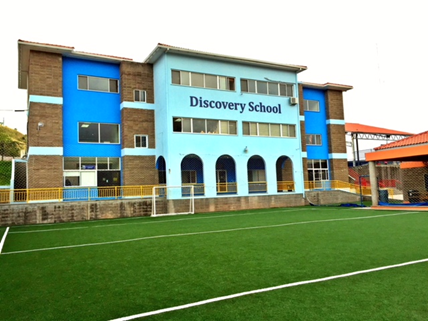 Discovery School is located in Tegucigalpa, Honduras. In 2006, the school moved to a new, facility, on a seven-acre campus, with separate areas for Early Childhood, Elementary, and for Middle and High School; a modern well-equipped Research Lab with touch screen computers for the Early Childhood and Elementary; an Information Center with laptops for Middle and High School teachers and students; a spacious, non-profit school cafeteria, science lab, library for the Early Childhood and Elementary, an improved gym area, special classes wing with rooms, small soccer field, art room, music room, and two spacious Conference Rooms. Discovery School has 236 students from 21 countries representing the diplomatic, corporate and private sectors. Class size is limited to 15-19 students, and in some cases 2 sections per grade. In the 2017-2018 school year, there are 36 full-time faculty members. All teachers have university degrees and teaching qualifications/ experience. All classroom teachers are bilingual (English/Spanish). A seven-member School Board, elected by the parents, governs the school. Membership in the Association is automatically conferred on the parents and guardians of children enrolled in the school. 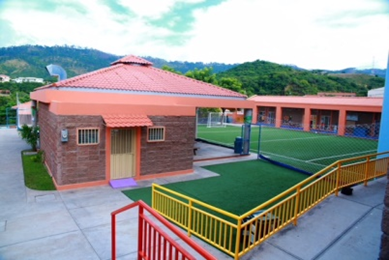 The school is funded mostly by tuition fees, but also benefits from an annual grant given by the United States Department of State through the Office of Overseas Schools. Discovery School under the leadership of the incumbent Head of School reached important milestones. The new Head of School will have the responsibility to maintain the school’s current accreditations and memberships, increase school enrollment, implement the Discovery School strategic plan and lead the school’s leadership team, staff and community into the 21st century. At least three years (five years preferred) successful experience as a senior school administrator, preferably in an International School. At least a Master’s Degree in Education from an institution approved by a U.S. regional accrediting agency. Fluency in English, with excellent written and verbal communication skills. Experience with curriculum development including knowledge of Common Core Standards, Next Generation Science Standards, Technology Integration, Four Blocks, and Advanced Placement. 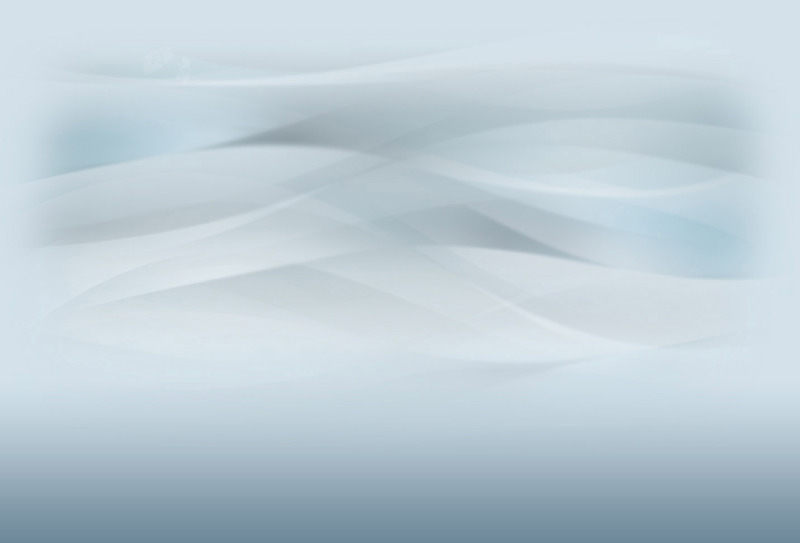 Certification in School Administration from an accredited Institution. Strong work ethic and sense of responsibility combined with high enthusiasm, creativity, energy, perseverance, initiative and follow-through, and charisma. Demonstrated ability to work effectively with highly diverse and multicultural constituents – teachers, and staff, parents, students, Government Officials, community leaders, and the Board of Directors. Assertive ability to communicate and delegate using his/her leadership team. Leadership qualities including the ability to recruit, motivate and retain outstanding teachers as well as the commitment to enforce – in a fair manner – that all teachers meet or exceed the high standards expected of a school with a premier education academic program. Knowledge and experience in ensuring and demonstrating school compliance with accreditation requirements (AdvancEd preferred). Experience managing the business aspects of a school including establishing budgetary priorities and projections, and working within approved budgets. Marketing and networking abilities and recruitment strategies for implementing a program for campaign. Conversational Spanish will be helpful. The salary will be regionally competitive and will depend on the qualifications and experience of the successful candidate. Benefits include tuition for school age children, housing and car allowance, health/ life insurance, travel allowance, limited shipment of personal effects, and professional development. Salary considerations will be detailed during the interview process. The Discovery School has appointed Search Associates to act as consultant in the search for the new Head of School, with Dr. Ralph Jahr and Ms. Bridget McNamer being the lead consultants. The deadline for applications for the position is December 15, 2017. Candidates are asked to submit a letter of interest and the requested materials listed below as early as possible as the Search Committee reserves the right to close the selection process at any time if the right candidate is found. The review of files will begin as soon as applications are received. Finalists will be selected by the Search Committee as early in the process as possible. Finalist candidate(s) together with their spouse (if applicable) may be invited to Tegucigalpa to meet with the Board and Search Committee for final interviews and to visit the school campus and meet with faculty, parents, students, and non-teaching staff. The new Head of School will be selected immediately after the conclusion of the site visits and final interviews. The new Head of School will begin in July 2018. A letter of application, explaining your strengths as a candidate and why you are interested in the Head of School position at Discovery School. A one or two-page statement outlining educational philosophy and leadership style. A one-page list of references with phone numbers and Email addresses. This list should include at least one teacher, one parent, one student and one Board of Directors member from the current school year or your last place of employment. The Search Committee will hold your replies in strict confidence.